The U.S. Air Force has awarded Polaris Alpha multiple task orders worth up to $96 million to support the military branch’s command, control, intelligence, surveillance and reconnaissance operations. 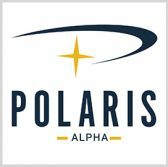 Polaris Alpha said Monday it will perform work in multiple areas such as C2ISR software development, enhancement and maintenance. The company will also help USAF develop machine learning and complex event processing methods, C2 applications and cross-community intelligence reporting and analysis tools. Polaris Alpha uses a software development framework in efforts to process large quantities of intelligence and integrate data across a network. Kevin Moffatt, an executive vice president of Polaris Alpha, said the company has supported USAF’s national security enterprise over the past 15 years.